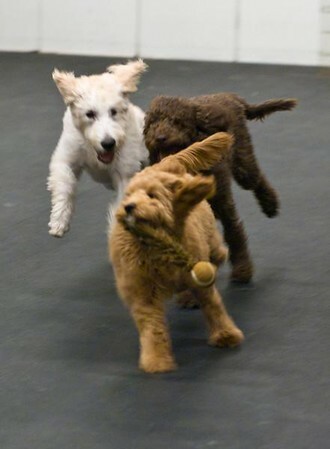 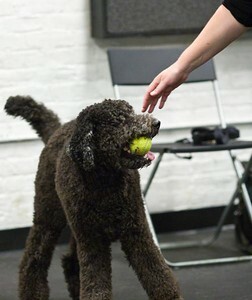 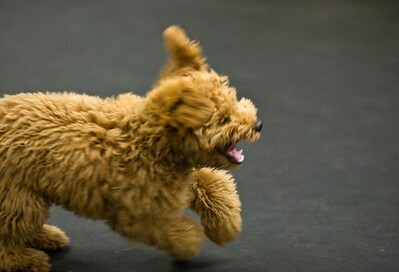 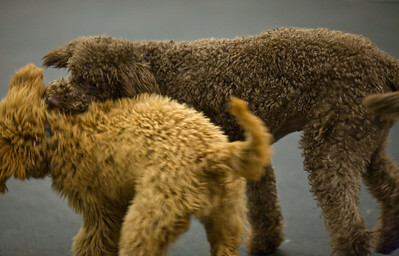 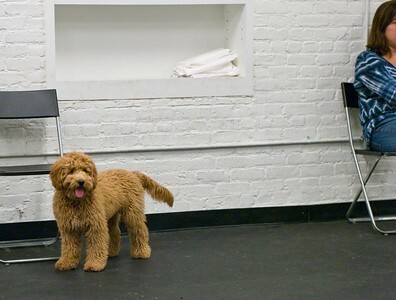 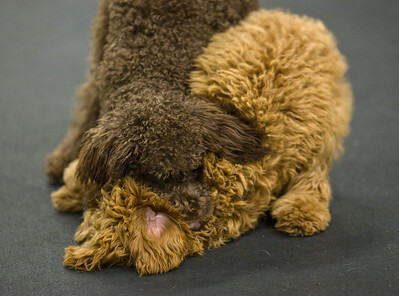 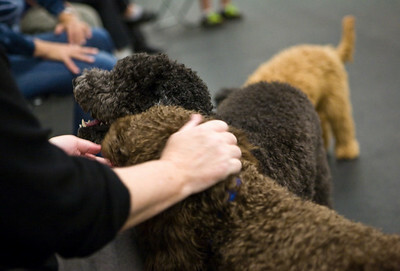 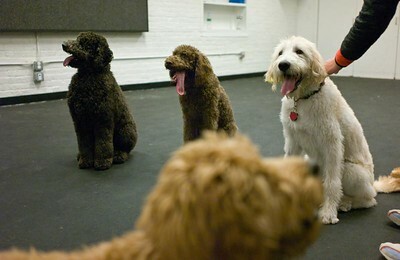 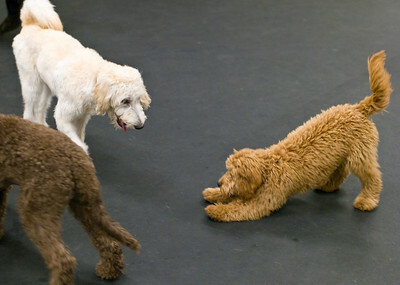 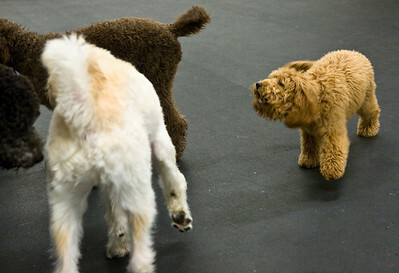 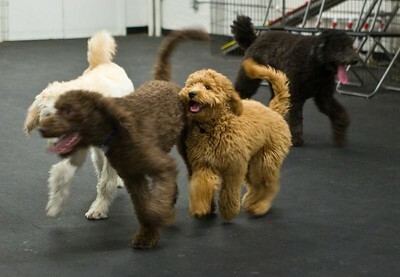 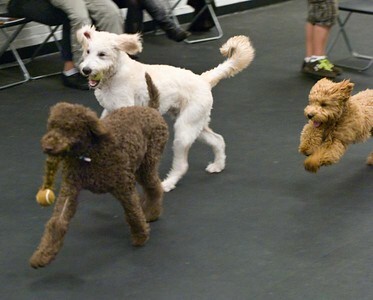 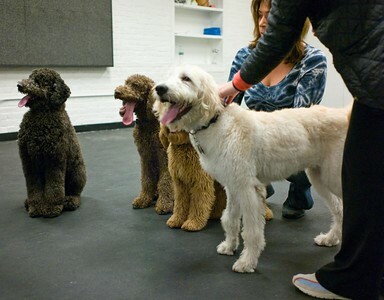 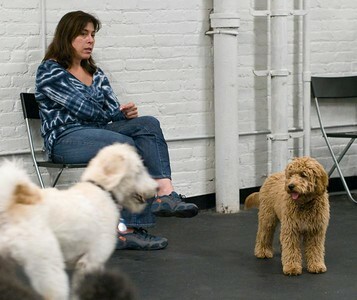 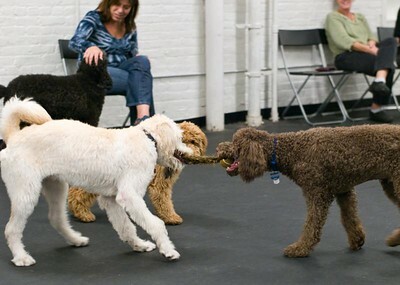 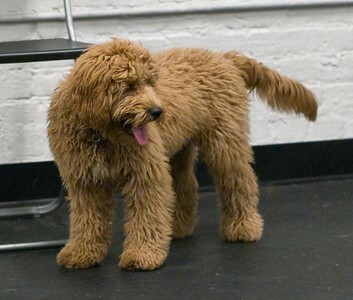 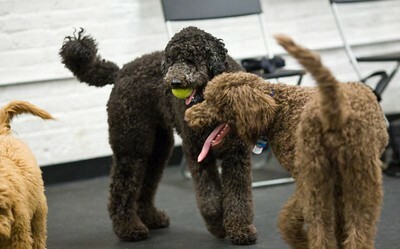 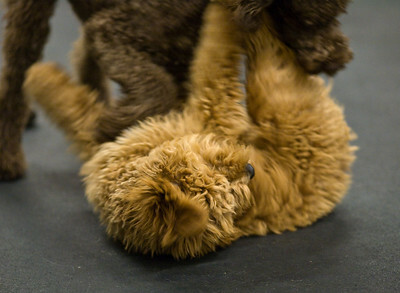 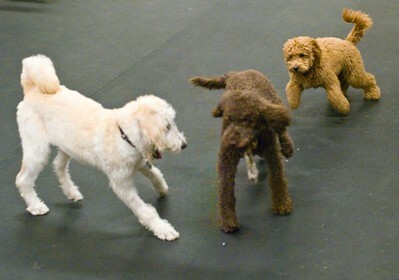 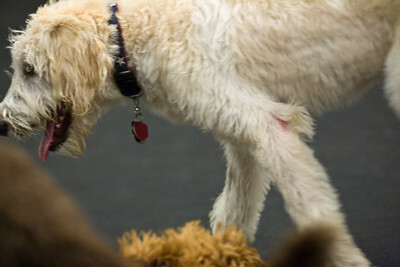 A "romp" arranged for Labradoodles, Goldendoodles, and suchlike bouncing fluffy hybrid dogs. 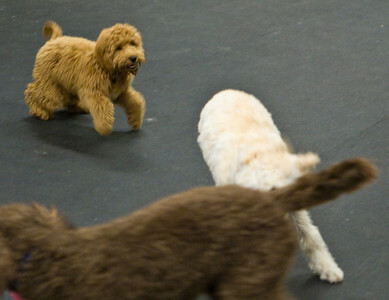 Once I gave up on the notion of sharp pictures from this storm of running fleece, and further gave up on conventionally accurate color under the fluorescents, I relaxed and really began to enjoy the feeling of motion and dogginess. 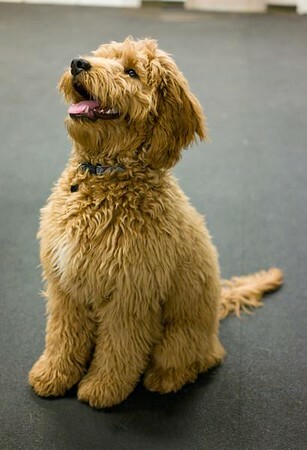 Hope you do, too. 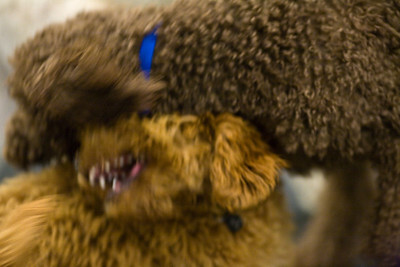 jbm-20081004-m8b-003: Trying to arrange a group photo. 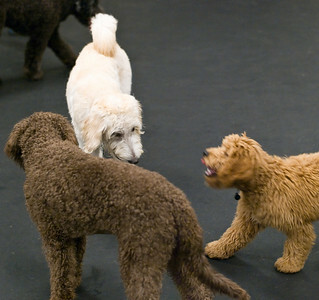 jbm-20081004-m8b-004: Still trying to arrange a group photo. 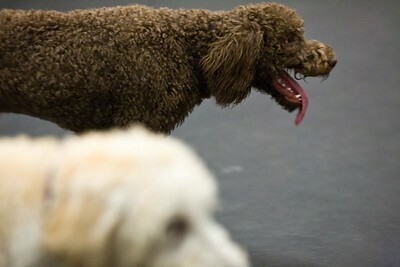 Wow, the amount of tongue a dog can unfurl when needed for cooling is completely surreal. 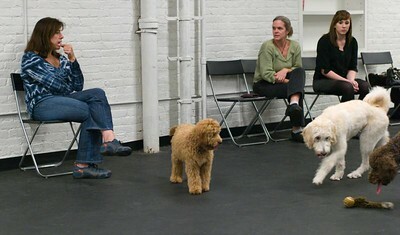 jbm-20081004-m8b-007: Okay, here's Cody, who kept being hard to see in the class picture.